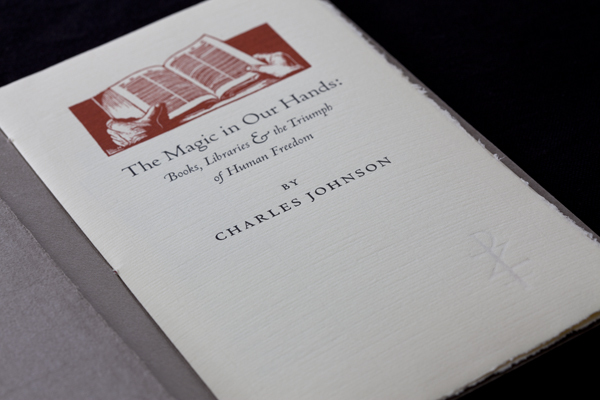 This little chapbook won Jenny a Chubby in the Seattle Show. 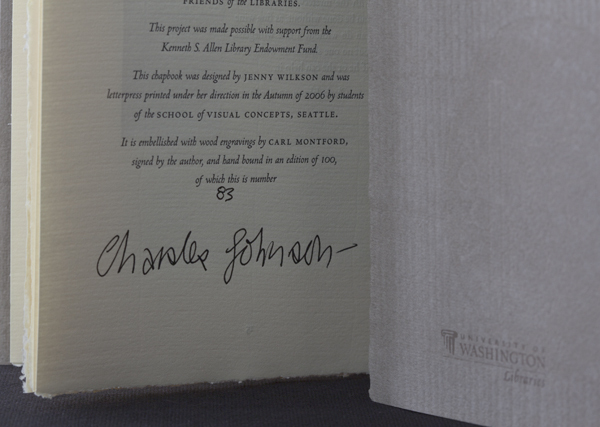 It was commissioned by the University of Washington Libraries to commemorate a significant Friends of the Libraries address by author Charles Johnson. 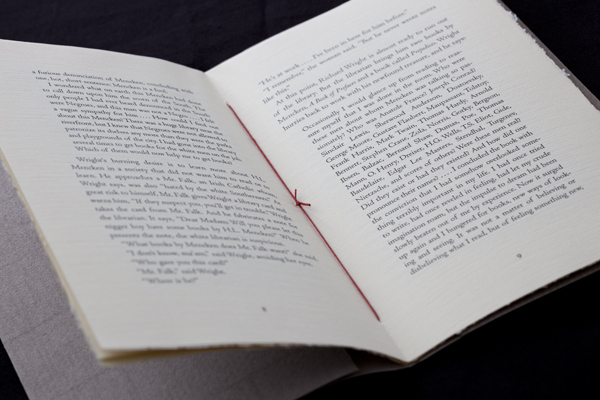 Jenny led a master class in the letterpress studio at the School of Visual Concepts to carry out the book’s printing and binding. 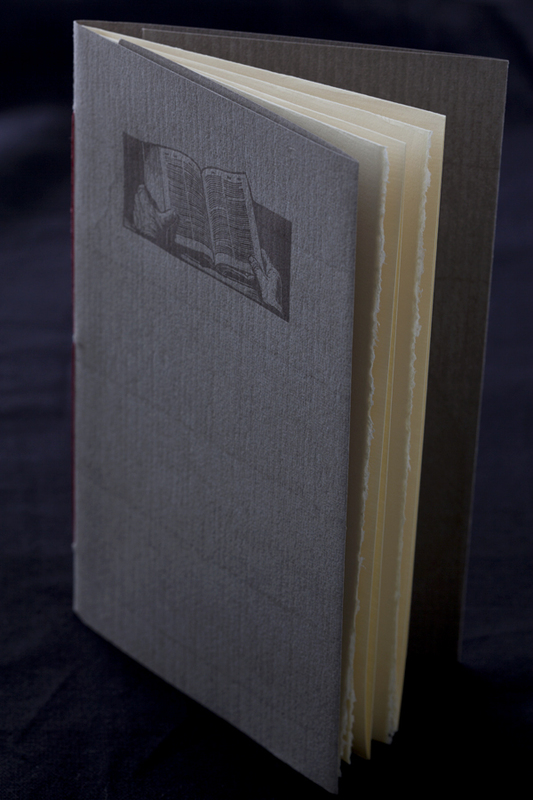 The book also features original wood engravings by Carl Montford.